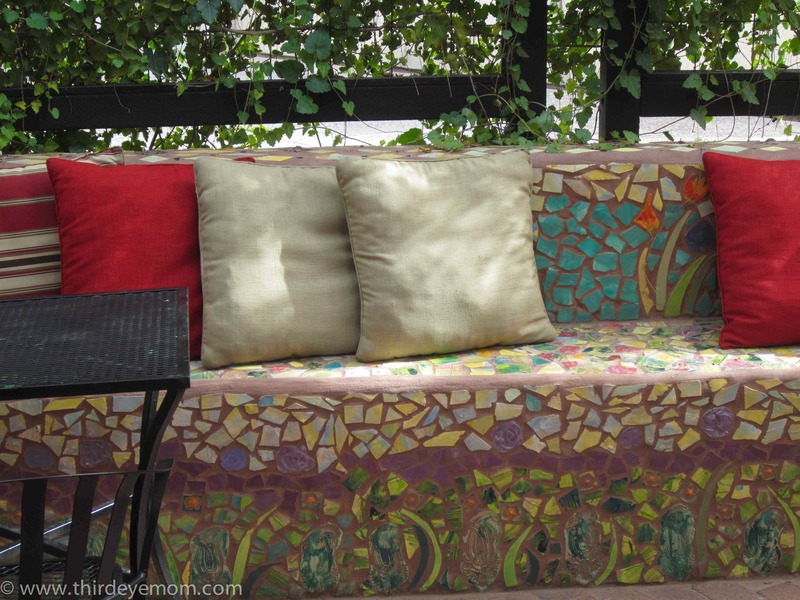 During my past two visits to Tucson at the end of November and December, I checked out several of downtown Tucson’s historic barrios (neighborhoods). 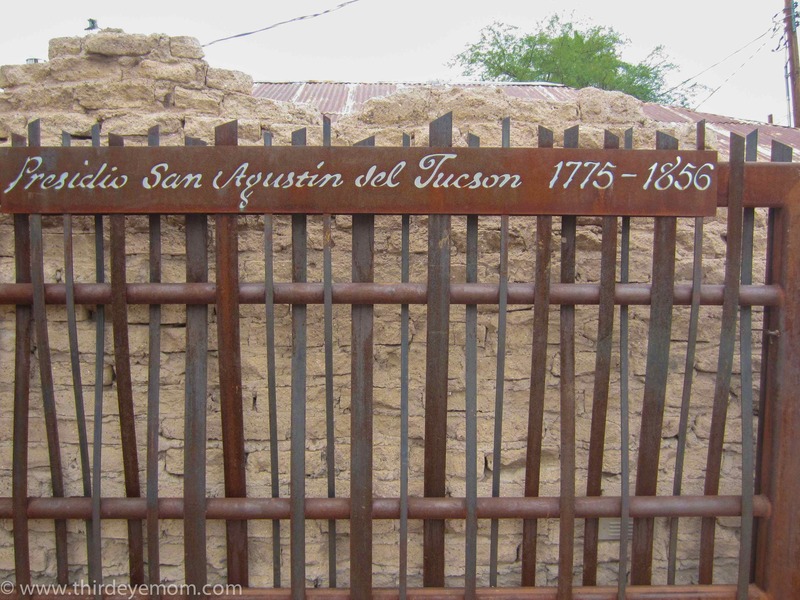 I have been visiting Tucson for over 20 years and it was my first time to venture into Tucson’s historic past. Currently there are 34 National Register Historic Districts in Tucson and 6 more that are pending. 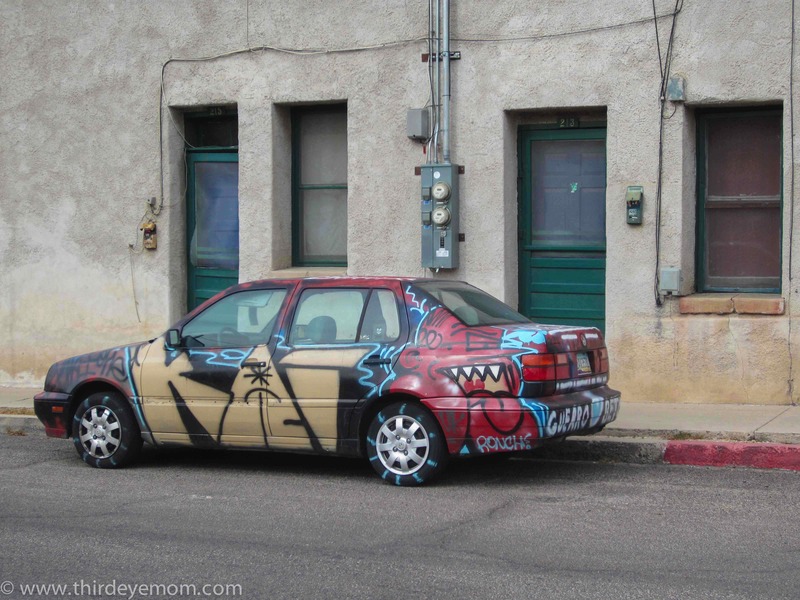 I soon discovered that each barrio was unique and had its own flavor. 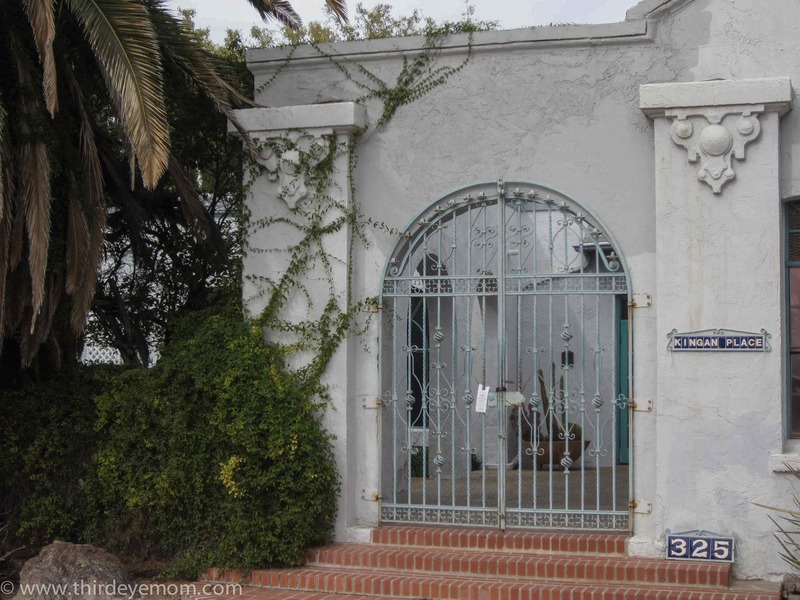 The architecture also was quite diverse with some homes dating back to the 1860s when Tucson began as the city it is today. 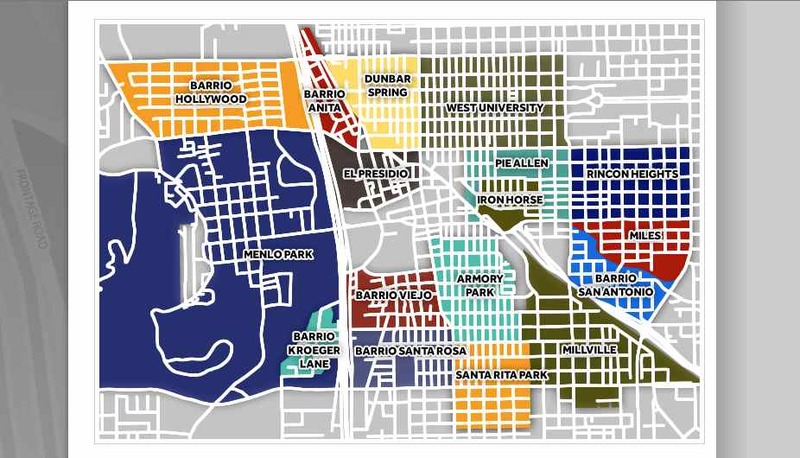 Screen Shot of Downtown Tucson’s Barrios from The Downtown Tucson Partnership. After checking out El Presidio barrio, the oldest neighborhood in Tucson, we walked southwest to Barrio Hollywood, an equally fascinating place. The barrio was settled around 1920 by mostly Mexican families and today the neighborhood is filled with vibrant, colorful buildings and family-owned restaurants. Here are some of my favorite homes and buildings I saw. 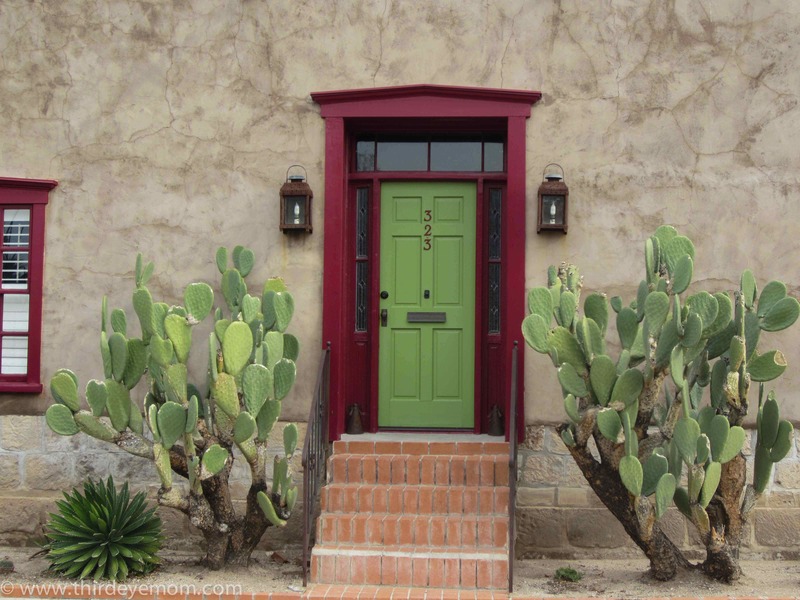 I loved the brightly hued colors of the doors, windows and stucco. 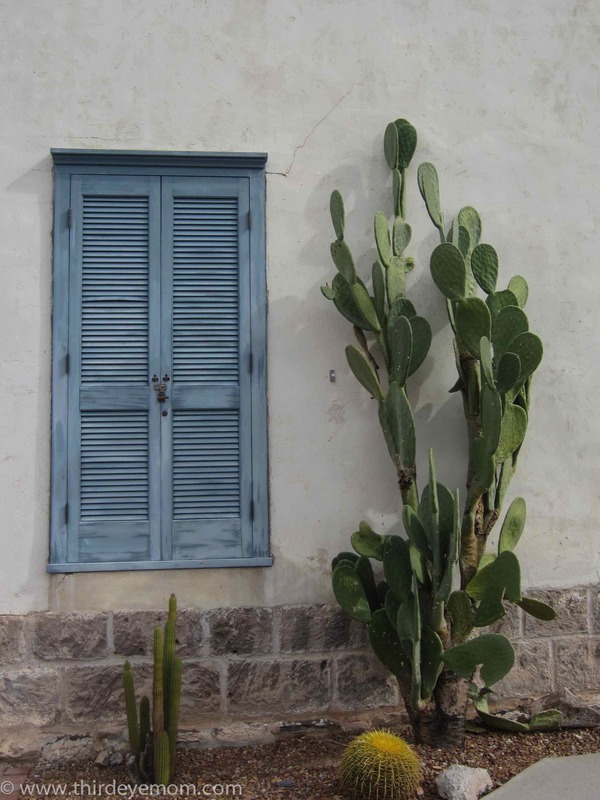 It reminded me so much of homes I’d seen while traveling in Guatemala and Honduras. While some were renovated and fully repaired, other homes were in disarray and needed some repair. Again, I enjoyed the crumbling colors of paint on some of the buildings. If I closed my eyes, I could imagine what it looked like when it was built. 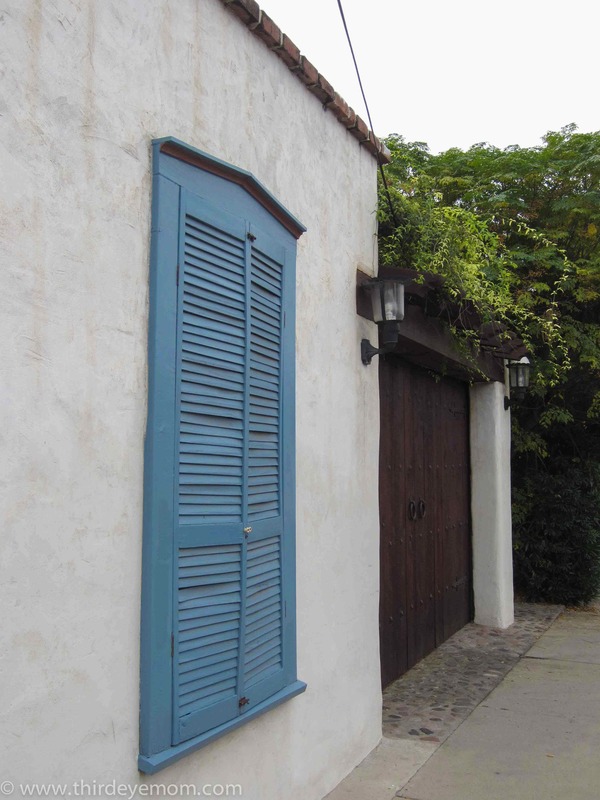 Tucked away discretely behind the tall buildings of Downtown Tucson lies the oldest barrio of all: El Presidio. 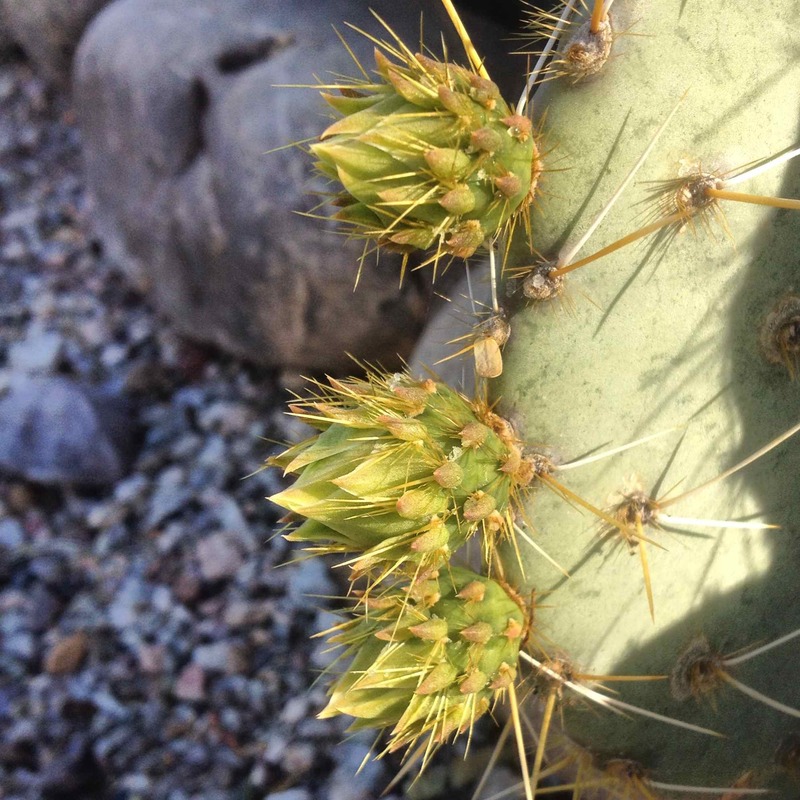 This neighborhood is where Tucson all began as a modern-day city. 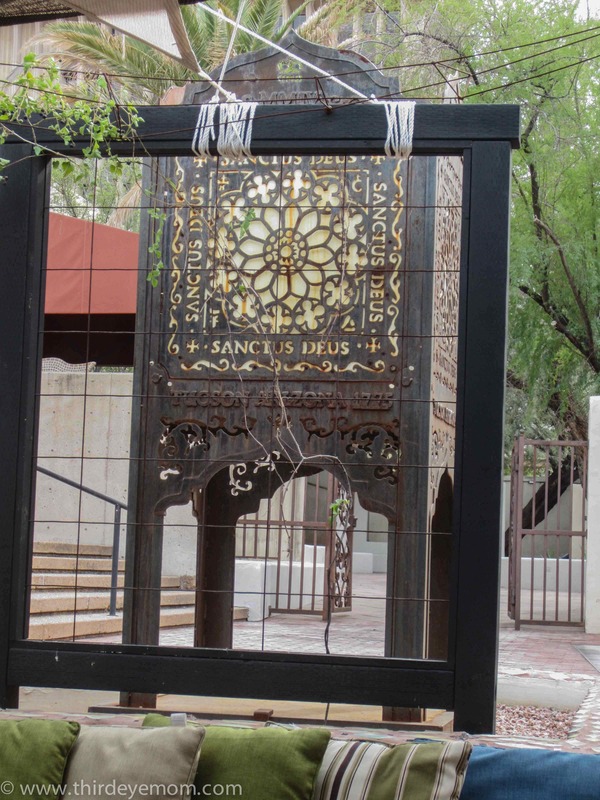 Although Tucson was established thousands of years ago by the Hohokam Indian (c. 700-900 A.D.), in the 1700’s Tucson was taken over by Spanish missionaries and soldiers establishing Tucson as an important Spanish colonial outpost. Entrance to El Presidio Museum and site. In 1775, Captain Hugo O’Conor who was of Irish descent but working for the Spanish army, selected a piece of land to the east side of the Santa Cruz River to build a presidio, or fortress. 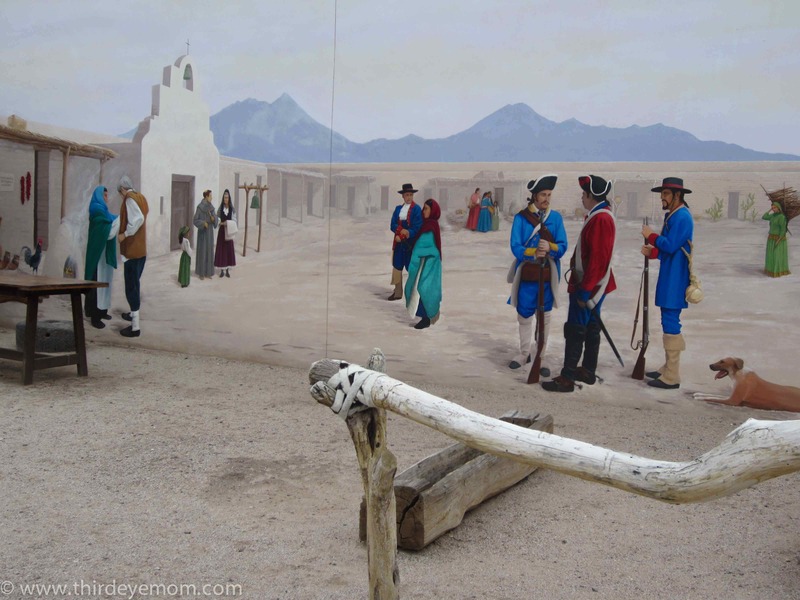 The Presidio San Agustín del Tucson was built over the next eight years with adobe walls which enclosed an area to protect people inside the fort from Apache attacks. 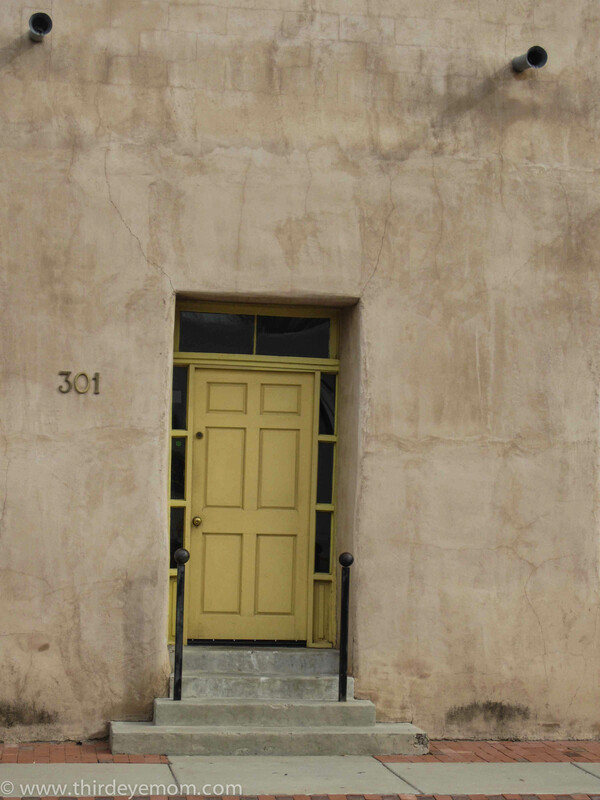 Inside the presidio were homes, barracks and stables as well as a cemetery and several plazas. (Source: City of Tucson historical files). El Presidio remained intact until 1856 when the Americans entered Tucson and it was no longer needed. Soon after, it was dismounted and the last standing wall was torn down in 1918. Parts of the original walls of the presidio have been uncovered during various archeological digs and today a small museum remains on the site of the original presidio. ”The Old Pueblo,” as the adobe-walled Tucson Presidio became known, became one of Tucson’s beloved nicknames for the city. 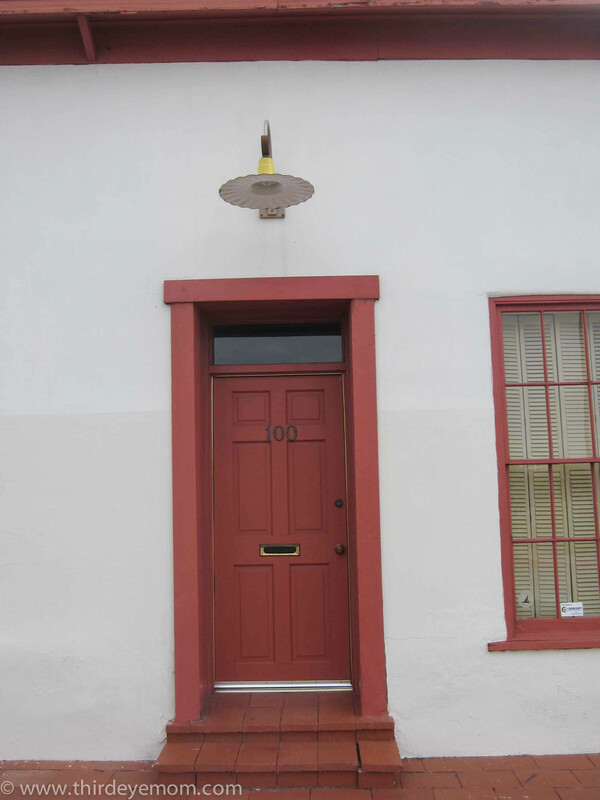 Surrounding the original grounds of El Presidio lies Tucson’s first barrio (neighborhood) to be listed on the National Register of Historic Places. 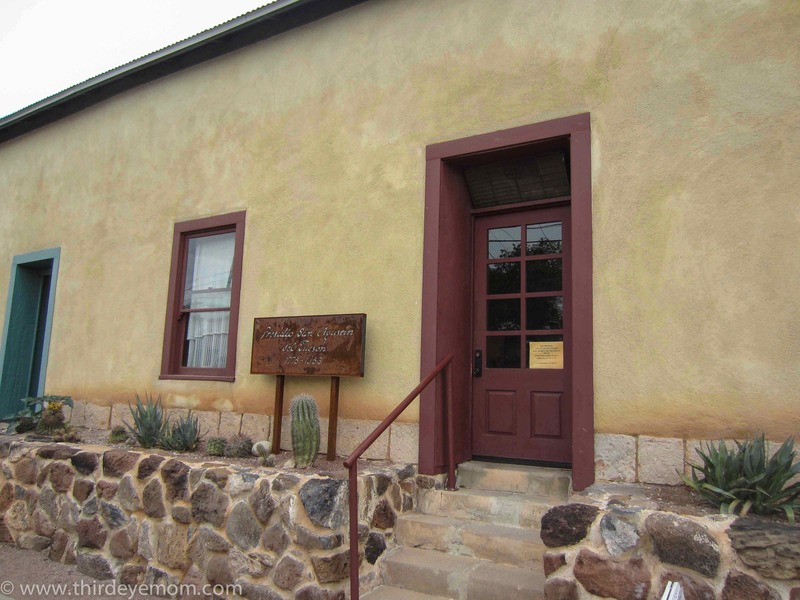 El Presidio is where Tucson began and many of the structures date from the 1860s on after the Presidio was torn down. Homes, shops and stores line El Presidio barrio today and most remain as they were originally built in architectural styles common of that time period ranging from Spanish-Mexican, Anglo-American to Eclectic. 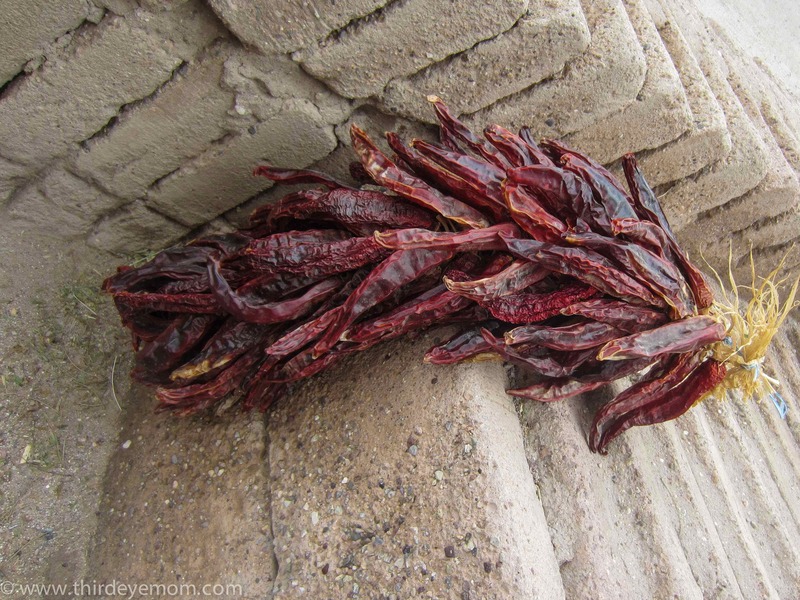 Walking down the streets of El Presidio reminded me of being on a street somewhere in Central America. Buildings were colored in bright hues of pinks, reds, greens and creams, and were all in various stages of disrepair which added to the charm and picturesque nature of this part of town. 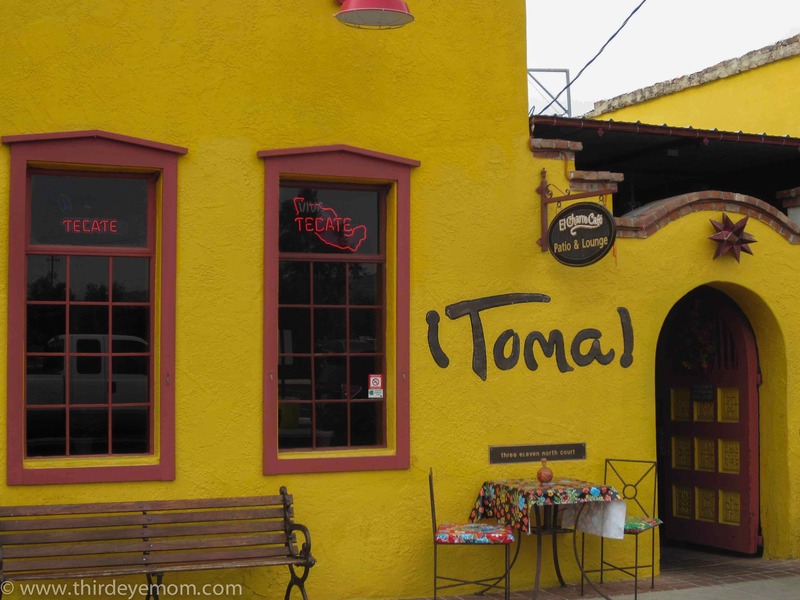 A must visit in the El Presidio barrio is The Tucson Museum of Art followed by lunch or dinner at the delightful, bohemian Café á la C’Art. Recently named on Food and Wine‘s list of the best museum restaurants in the country, we randomly stumbled upon this gorgeous Southwestern eatery all by chance, and what an amazing treasure of a restaurant it is! Step inside the restaurant and you are bound to be surprised…. Yet I enjoyed the beautiful back terrace for enjoying our delicious lunch. 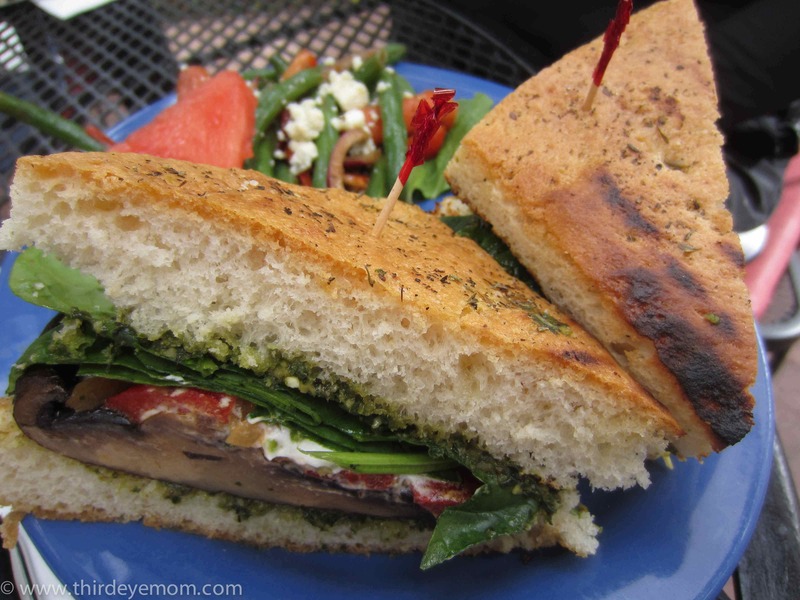 I loved my grilled portabella mushroom sandwich with goat cheese. Just a few steps behind the restaurant is the entrance to the Tucson Museum of Art. After a fulfilling, savory lunch it was time to walk it off and tour El Presidio barrio. Once again, I was thrilled to see so many lovely murals and many noteworthy historical homes and mansions set from another era in time. 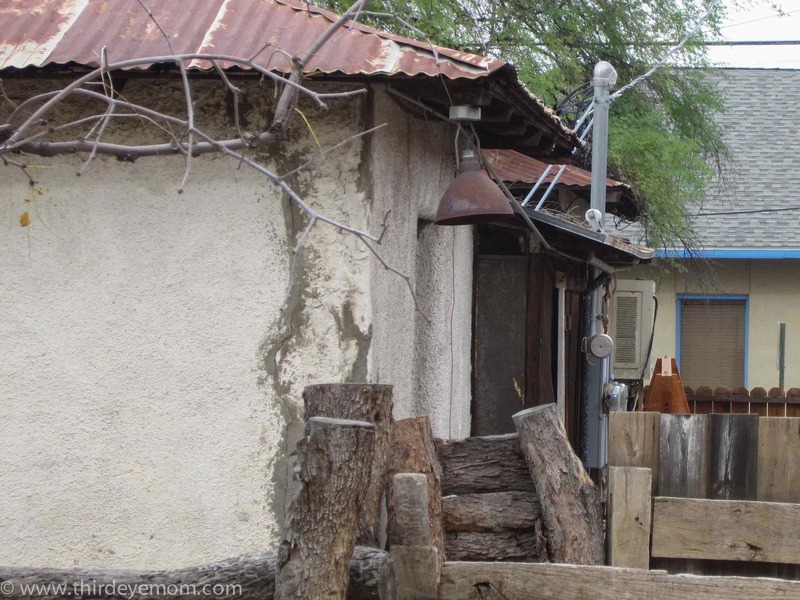 Exploring this historic barrio is fascinating as many of Tucson’s oldest homes dating from 1860 to 1920 remain. 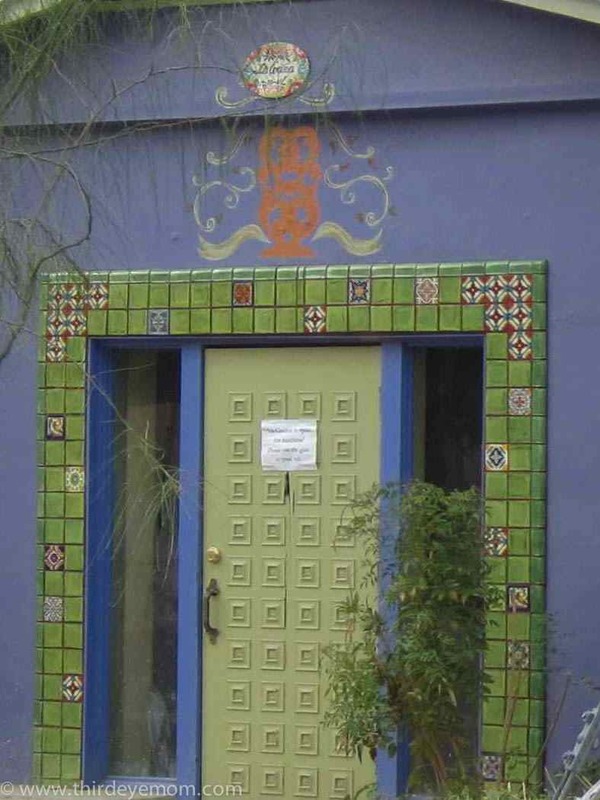 The architecture of the homes are exceptionally interesting given they were constructed in the styles prevalent of the times including Sonoran, Transformed Sonoran, Transitional Territorial, Mission Revival and Craftsman Bungalow (Source: The Tucson Historic Neighborhood Guide). 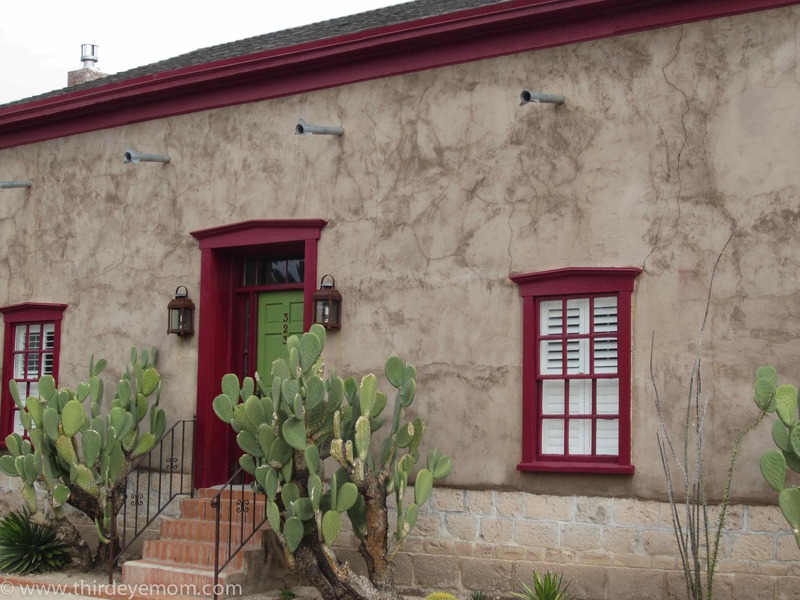 The homes are a sharp contrast from the typical Tucson home made either of stucco or adobe style which makes a visit to El Presidio barrio all the more fun. 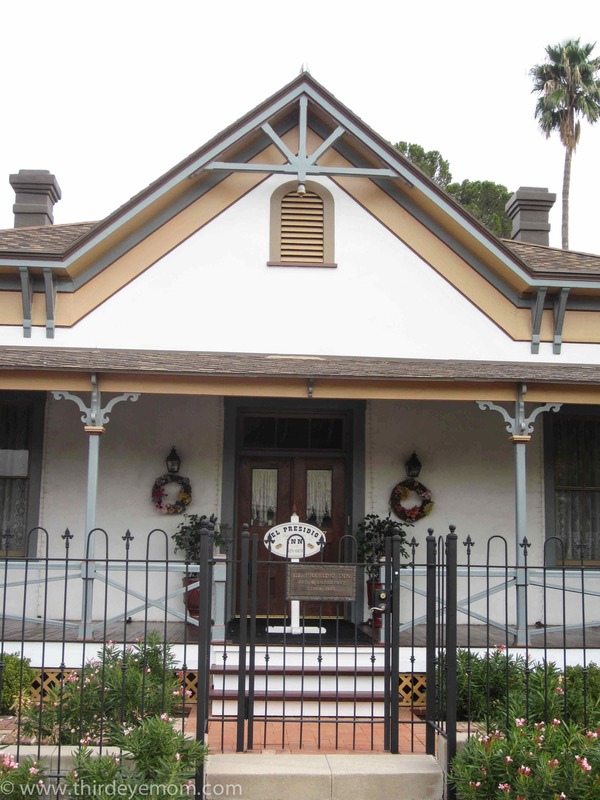 El Presidio Historic District is roughly bounded by W. 6th St., W. Alameda St., N. Stone Ave. and Granada Ave. in downtown Tucson, Arizona. 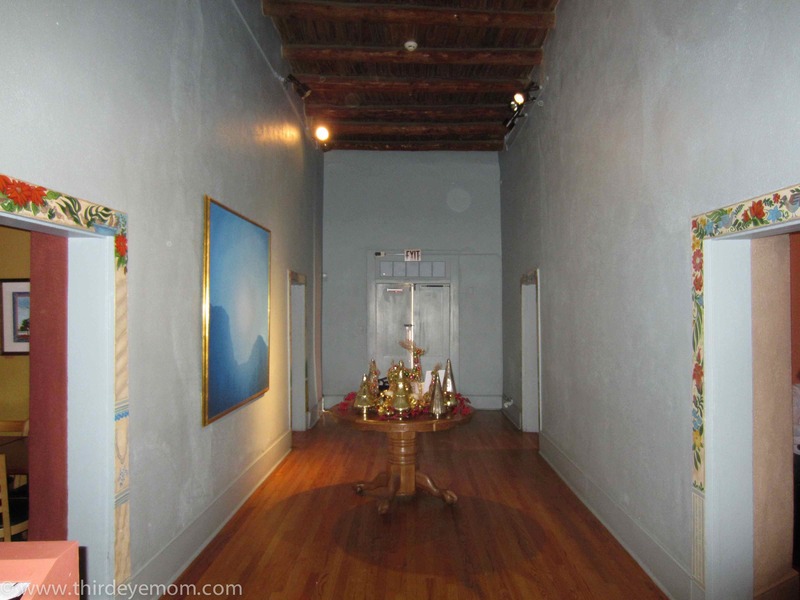 The Tucson Museum of Art, 140 N Main Ave., offers tours of the historic block in the district on which the museum is located. Call 520-624-2333 or visit the museum’s website for further information. 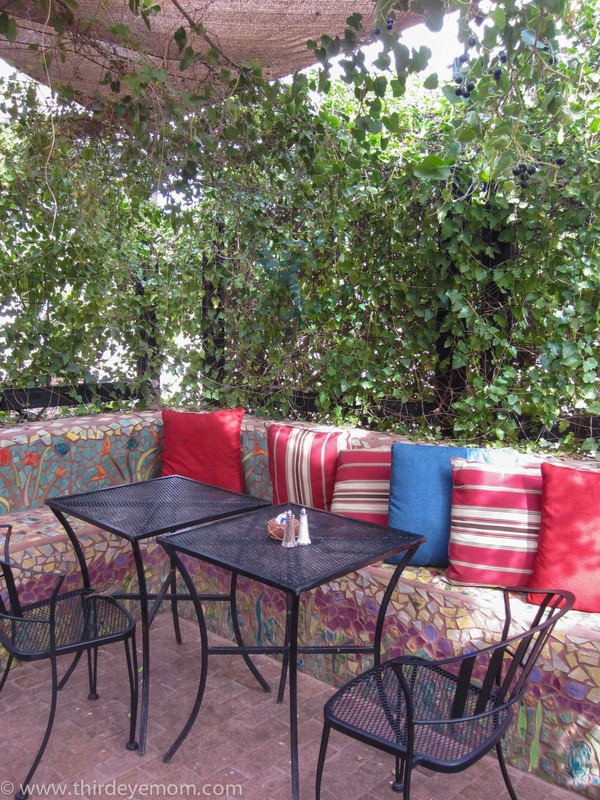 Café á la C’Art, 140 N. Main Ave., is open from 8 a.m. to 3 p.m. daily. Dinner is served from 5 to 9 p.m. Thursdays through Saturdays. 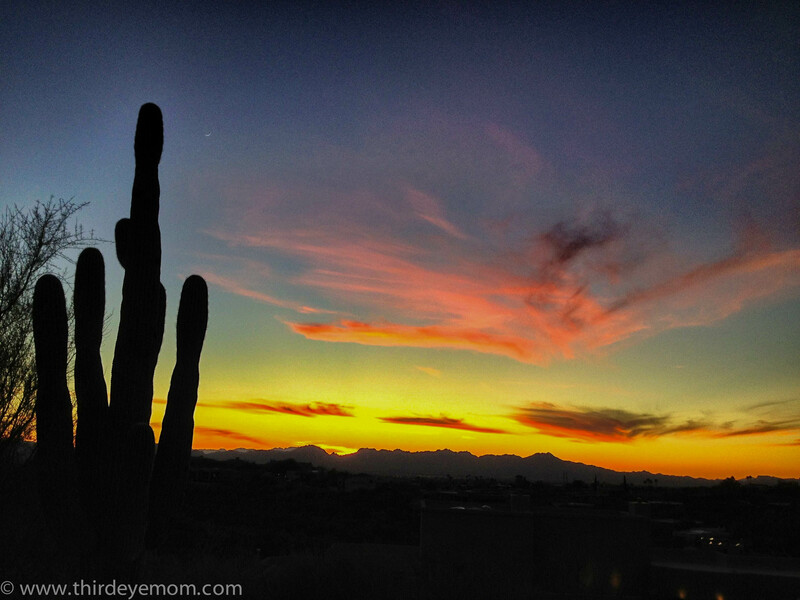 I have been visiting Tucson, Arizona for over 20 years and have always adored her gorgeous desert landscape, rugged mountains, and lovely southwestern charm. 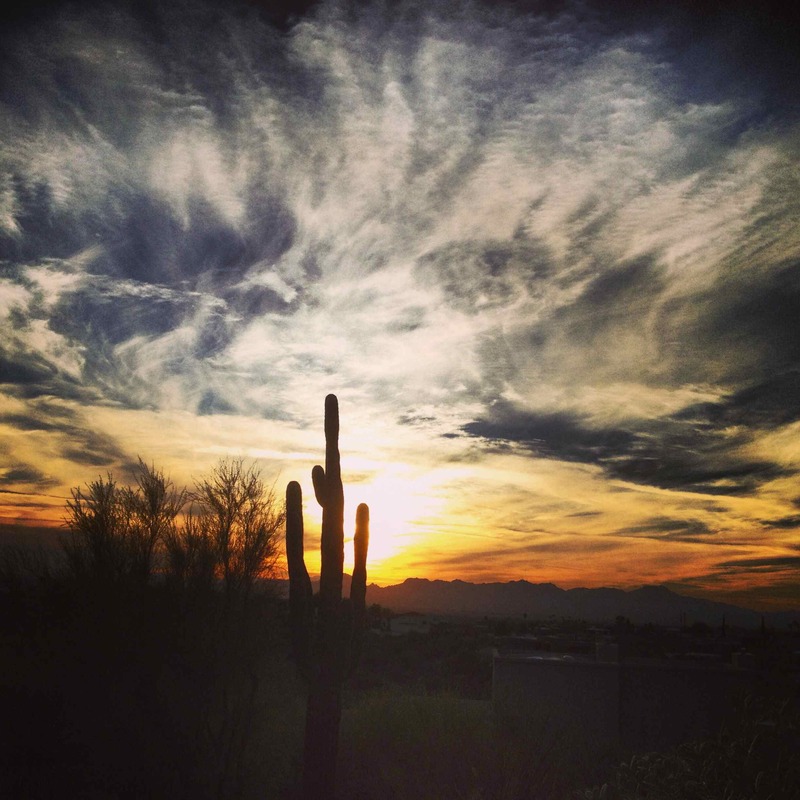 It is no wonder that Tucson is a mecca for outdoor enthusiasts who come to play golf, bike, hike, and explore nature. 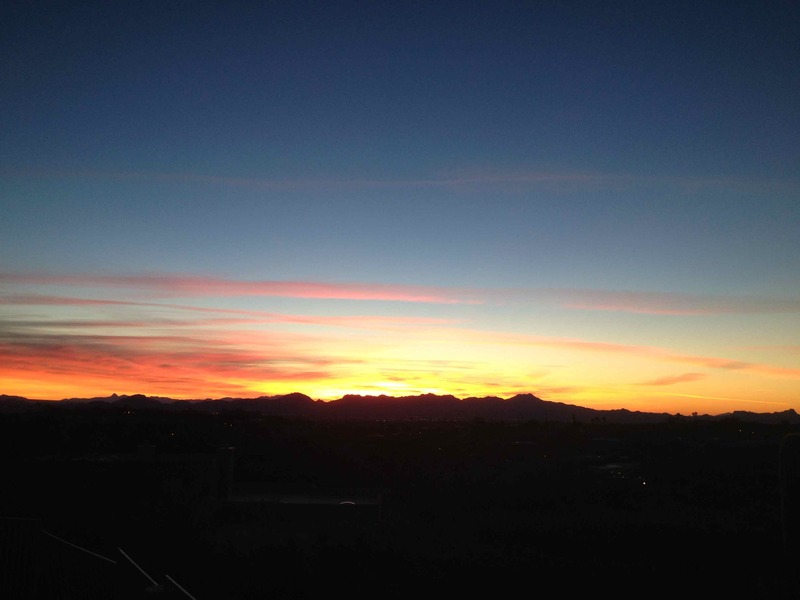 The sun shines down across the city for over 350 days a year making Tucson a gorgeous place to visit especially in the heart of a Minnesota winter. For years I’ve been enjoying Tucson’s many hiking trails, restaurants and shopping areas surrounding the luxurious Foothills part of town yet during a recent visit I decided it was time to branch out and explore. A local art store provided my inspiration. 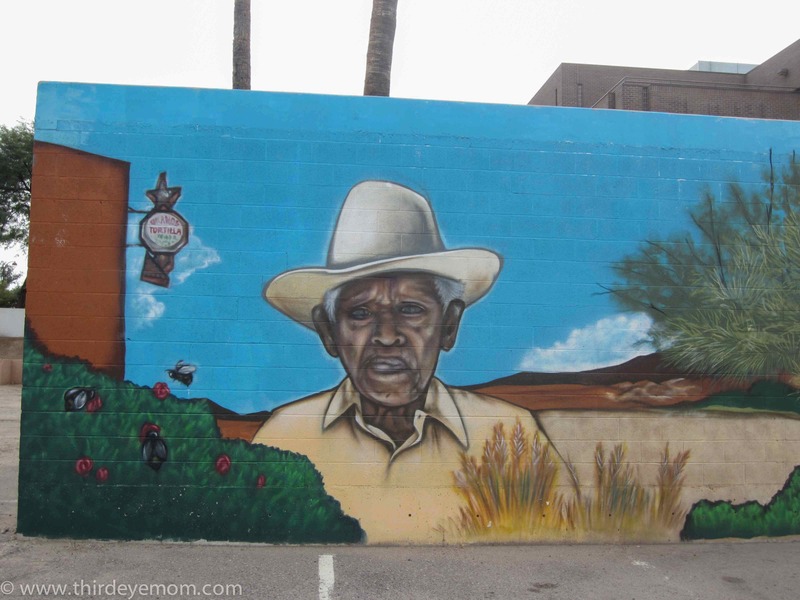 There I saw a painting of one of Tucson’s many barrios (neighborhoods) and realized that there was an entire part of Tucson that I had never seen before and it looked fascinating. On a beautiful Saturday morning instead of putting on my hiking shoes, I grabbed my camera, a map and launched off in pursuit of my curiosity and wanderlust. 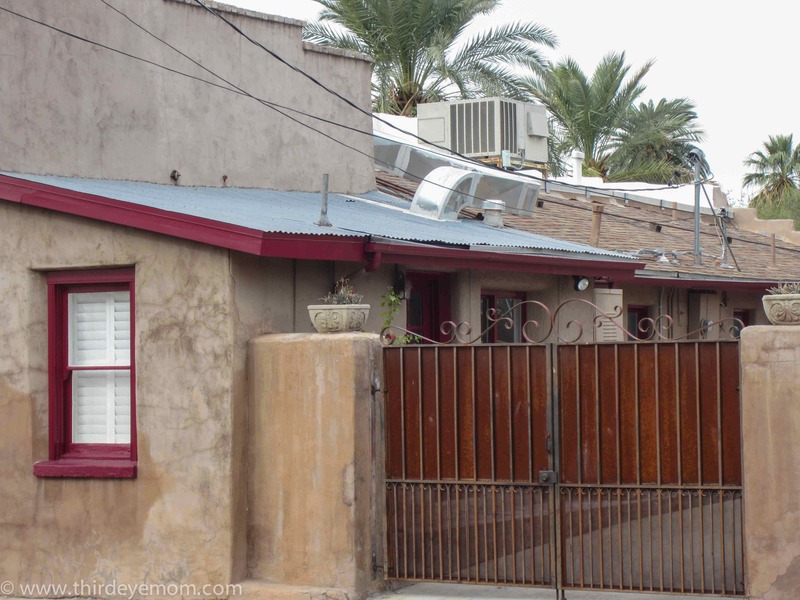 I headed down the valley to the heart of Tucson’s past, to the old, historic Downtown Tucson and her neighboring barrios (neighborhoods) which in recent years have been undergoing a major regentrification and rebirth of their own right. A few hours exploring and I was convinced that during my next trip to Tucson I’m headed back to the barrios. 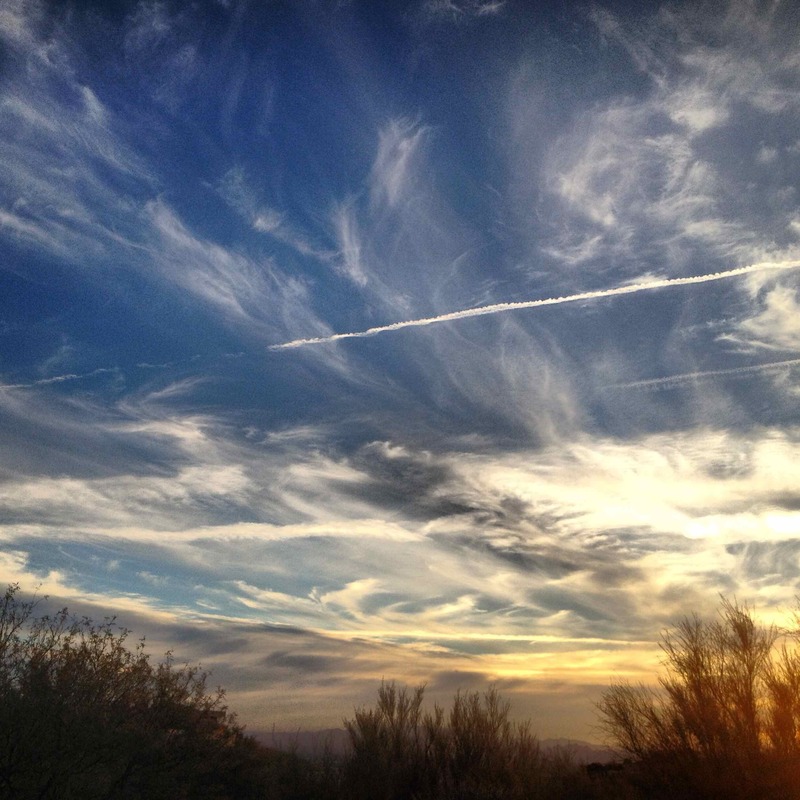 I found some remaining pictures from my recent visit to the Sonoran desert of Arizona. Every night, the sunsets are magical and unique. It is my most favorite time of day and so insanely peaceful that all my worries seem to fade away with each brilliant ray of light and color splashed across the sky.